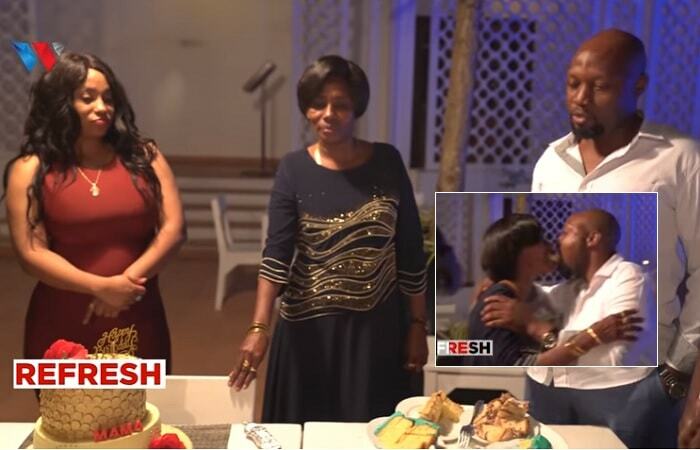 In a surprise birthday party that was arranged by close family members, Diamond Platnumz' mom, Sandra Kassim, was served with four birthday cakes and among the cakes was one from Hamisa Mobetto's child, Dylan, she had no choice, but to accept him as his grandson as opposed to what Diamond Platnumz was complaining about earlier. A day after Diamond Platnumz posting about his mom not liking Dylan, his son with Hamisa Mobetto, Sanura Sandra Kassim has responded in style to his son's concerns that could easily send him to the studio to record a song about the matter. 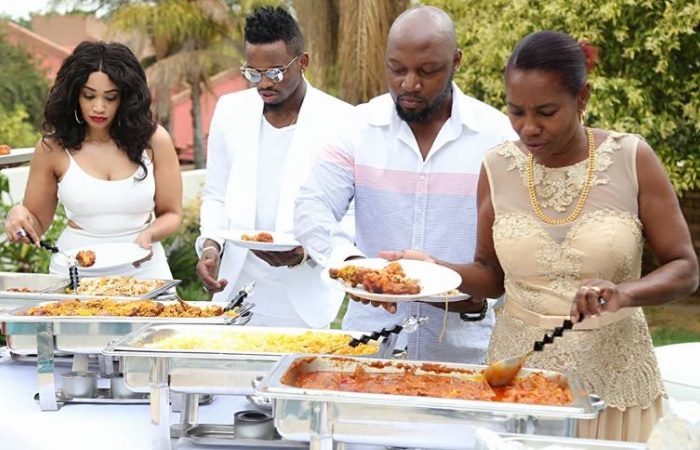 Having added another year to her age, her daughter, Esma Platnumz and other family members arranged a surprise birthday party to which she had at least 4 birthday cakes and one of them was from none other than Dylan her grandson. As they sang the birthday song for her, she said Dylan is My Grand son, Isn't he (as she looked her lover, Rally Jones, in the eyes), the two went on to share a cake in her mouth as they celebrated the moment away. Dylan through her mom was equally happy that grandma had loved the cake plus other gift items. Diamond Platnumz in his earlier post was concerned that his mom was not loving her grandchildren equally, he begged her not to involve the little guys in their parent's woes, they are innocent, he asserted.Having used her special day, the birthday to let her know how serious this issue was eating him up, Sandra had no choice, but to honor his request. It is now left to be seen how soon Dylan's mother, Hamisa Mobetto, and her mother-in-law Sandra can patch things up pretty fast to working together because time is of the essence here as the singer was also hinting on his wedding, he needs to settle down. The last attempt of reuniting Zari and Diamond Platnumz shortly after the release of the Iyena video did not add up to much.